The Arabian Horse Association joined The Right Horse Initiative as a partner in May 2018 and is proud to be part of a collaborative group of industry professionals working together to increase adoption through a dialogue of kindness and respect. The issue of horses in transition is important to the Arabian Horse Association (AHA) because we believe each horse is special and deserves to be treated humanely. We understand the special bond that comes from working with an Arabian horse and that is something we want everyone to be able to experience. The Arabian Horse Association is a membership and breed organization. Our mission is to provide services for the membership such as Arabian horse registration, member benefits through partnerships and sponsors and executing programs geared towards all areas of the Arabian horse industry. The Arabian Horse Association promotes the Arabian horse and holds multiple National level events. Our members are a very diverse group. The Arabian horse is known for its versatility and just like the Arabian horse, our membership is very versatile. They come from all backgrounds and riding styles but the one thing our members have in common is their passion for the Arabian horse. Whether they own a horse or just appreciate the breed, every member enjoys talking about and sharing their experiences with the Arabian horse. 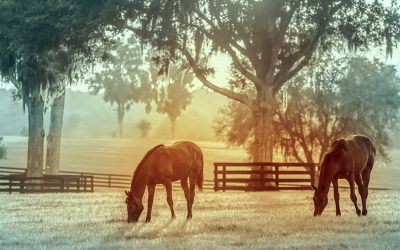 We see the partnership with The Right Horse benefiting the Arabian horses in the United States by bringing awareness to horses in transition and providing avenues for adoption. Often times, potential adopters are new to the industry and are looking for their first horse. Many of these new adopters are getting their first exposure to the Arabian horse and becoming a part of the AHA community. 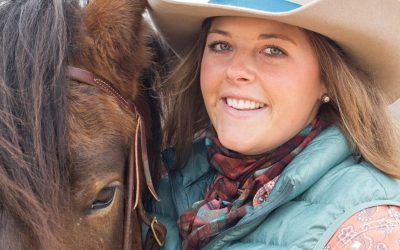 By bringing awareness to horses in transition and increasing adoption, The Right Horse is providing a safety net for horses as they move between careers and homes. Most horses will have multiple owners throughout their lifetime. Our owners and breeders benefit from the initiative by knowing that horses they have owned and/or bred can transition safely after their first or second careers, while inspiring a new owner to experience the breed and get involved with the Association. We are excited about the opportunity to introduce new adopters to the equine industry. With so many opportunities for involvement with our Association, we enjoy welcoming new members who have adopted their first Arabian and helping them get involved with their horse. Our involvement with The Right Horse Initiative will also give our membership another outlet to be involved in the horse industry and to introduce newcomers to the Arabian horse. If AHA members would like to get involved, one of the best ways is by getting out in your community and informing the public. 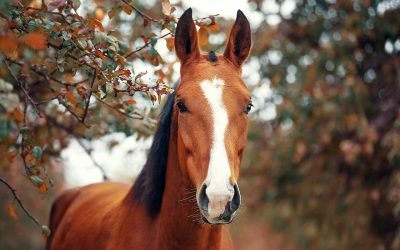 This can be done a multitude of ways, such as sharing your adoption story, posting on social media using the hashtag #RightHorse, or going to events as a Right Horse spokesperson. For more creative ways to help, we encourage our members to visit therighthorse.org/how-to-help/.